THE best cardie we've seen yet. 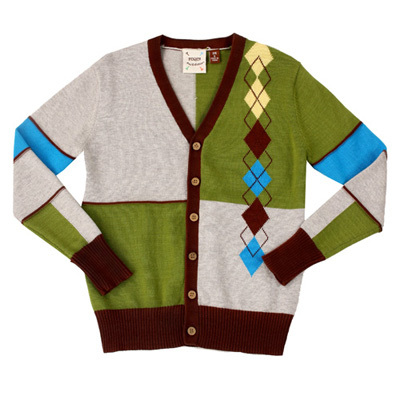 Fore Axel and Hudson made this fun, colourful cardigan in part grey, part green with brown trim, and a touch or argyle. Perfect for the little man with a sense of style. Sorry. Sold out.